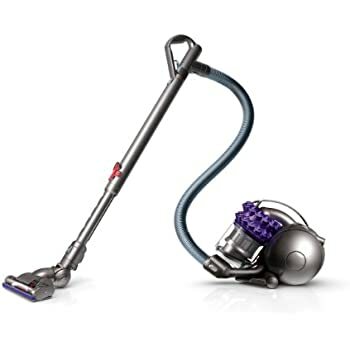 Genuine Dyson DC26 Multi Floor, DC26 Multi Floor plus Carbon fibre turbine head, DC26 Multi Floor Re..
Dyson DC26, DC38, DC47 Brush Bar/Agitator Assembly for Motorhead (Genuine) Dyson Product Code: 9203..
Dyson DC38, DC38i, DC47 Genuine Cable Rewind Dyson Part Number: 924594-02 ..
Dyson DC38, DC47 Hose Assembly Dyson Product Code: 923769-03 Genuine replacement hose assembly for..
Dyson DC38, DC47 Pre Filter (Genuine) Dyson Product Code: 919354-01 Dyson DC38, DC47 Pre Filter As..
Dyson Spring Assembly, Cord Reel DC47, 924592-02 Dyson Part Number: 924592-02 ..
Dyson DC40, DC47, DC50, DC65 Glamour Cap Filter Side Dyson Part Number: 921348-01 &..
Dyson DC47 Bin Assembly, 924015-01 Replacement bin assembly for your Dyson vacuum cleaner. Ma..
Dyson DC47 Cable Rewind Spring Assembly Dyson Part Number: 924592-01 Th..
Dyson DC47 Duct Lower Main Body Dyson Part Number: 919640-03 The Dyson ..
Dyson DC47 Plate Chassis Cover Dyson Part Number: 919389-01 The Dyson D..
Genuine Dyson DC47 Post Hepa Filter Dyson Product Code: 924057-02 Dyson DC47 Post Hepa Filter. F..
Dyson DC47 Satin Yellow Iron Cyclone Assembly (Genuine) Dyson Part Number: 925042-04 This ..
Dyson DC47 Screw M3.5x7-T15 Cheesehead Dyson Part Number: 910703-05 S..
Dyson DC47 Swivel Catch Silver Dyson Part Number: 913202-02 Replaceme..
Dyson DC47 Vacuum Lower Ball Body Service Assembly Dyson Part Number: 924595-01 &nb..
Dyson Inlet Duct Assembly Dyson Part Number: 921273-01 Replacement In..
Dyson Soleplate Axle Dyson Part Number: 965931-01 Dyson DC26, DC35, D..
Dyson Swivel Catch Red Dyson Part Number: 913202-03 Swivel Catch ..
Dyson Tangle Free Tool Soleplate Service Assembly Dyson Part Number: 963826-01 &nbs..